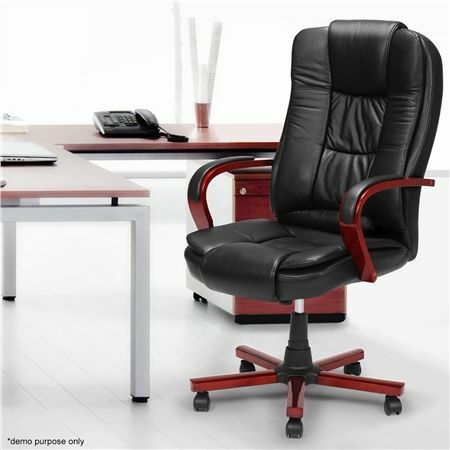 This Black Genuine Leather Rolling Executive Chair is essential for any business or home office. This heavily padded chair contours to your body allowing you to work in comfort. Featuring a gas lift that allows you a range of 112cm - 121cm; this chair is ideal for all shapes and sizes. Excellent lumbar support, armrests and wheels make it easy to move around your desk or office; this chair blends style, comfort and functionality effortlessly. 63 cm x 63 cm approx.